In the Style of a true Canadian Rye Whisky, this essence is right on the money with the clean clear flavour of rye grains and subtle oak. Great over ice with Canada Dry ginger ale. 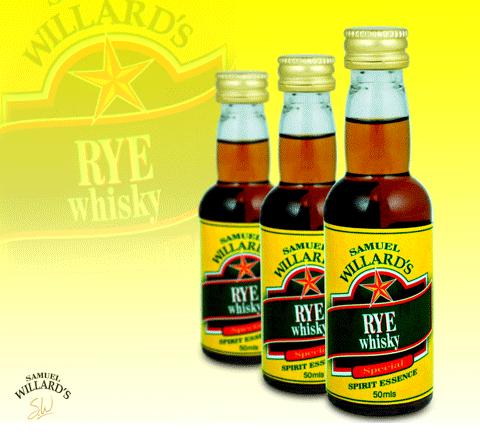 Samuel Willard’s Rye Whisky essence produces 2250mL of spirit from each 50mL bottle.